Grab your canoe or kayak! 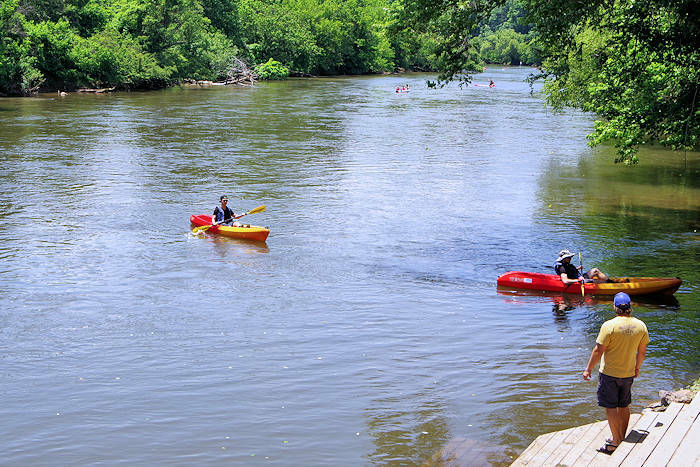 The French Broad River Paddle Trail opened in 2012 to connect more than 140 miles of the French Broad River from around Rosman, NC, to Douglas Lake, TN. The Trail serves to protect the river as a resource for recreation, environmental stewardship, education and economic development. The low impact water trail is a "Leave No Trace" paddle with campsites spaced about 8-10 miles apart. The campsites are all paddle in-only sites and located on private land with reservations made through the Western NC Alliance at frenchbroadpaddle.com. Campsites vary in size and cost $25 per night. Three additional campsites by RiverLink are free and open to the public, without reservations. 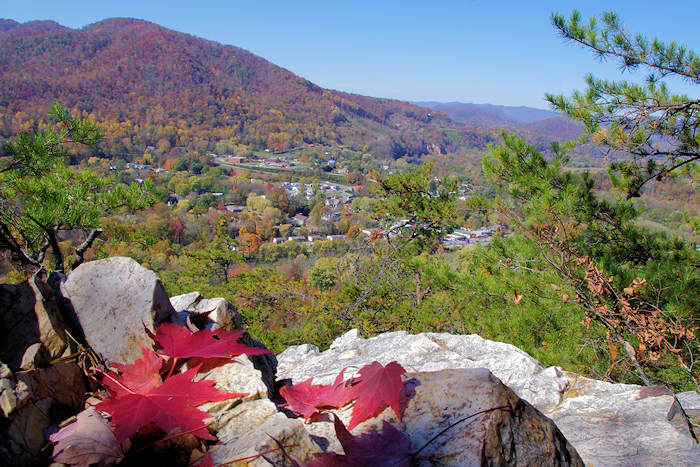 Envisioned by RiverLink in Asheville and a host of partners, more than 150 volunteers cleared invasive species, constructed picnic tables, built rock stairs, planted trees and put together fire rings to create the campsites. 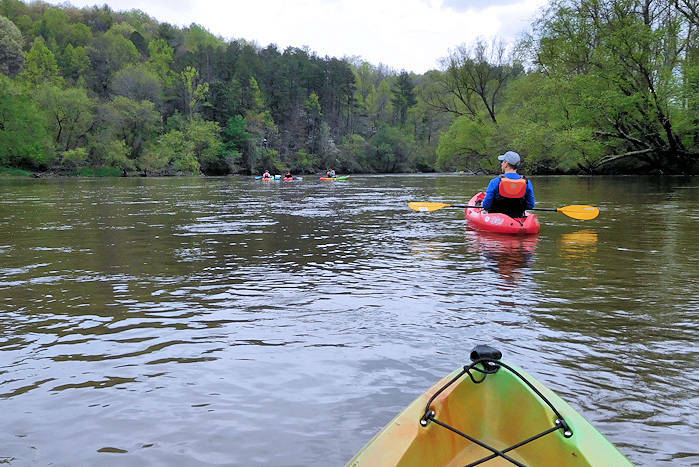 RiverLink is a regional non-profit spearheading the economic and environmental revitalization of the French Broad River and its tributaries as a place to live, work and play. Since 1987 they have engaged in simultaneous efforts to address water quality concerns throughout the French Broad River basin, expand public opportunities for access and recreation, and spearhead the economic revitalization of Asheville's dilapidated riverfront district. The trail runs 117 miles in North Carolina and is great for paddlers of all skill levels. The headwaters are narrow and flat through a lot of farmland. As the river enters Buncombe County, it widens and becomes shallower with mostly flat water through Biltmore and Asheville. The section past Asheville (north of the city in Madison County) is best for experienced kayakers since there are bigger rapids and three dams to portage. The Craggy Dam is approximately 10 ft. high and there is an unimproved portage on the left. Below Craggy Dam is the first bit of technical whitewater, called “Ledges,” which is a popular spot for local kayakers to practice. Near Marshall is Capitola Dam with a long portage. The safest option is to exit the river at the Town of Marshall Park in Rollins and shuttle to below the Redmond Dam. If you chose to continue in the river, this section is beautiful, yet there is no legal portage around the third and final dam, the Redmon Dam. Many boaters portage to the right along the railroad, but this is not advised since it is illegal. Flat Water Kayak / Canoe Asheville River Trip "Biltmore Run"
If you have a flat water canoe or kayak, there's a great seven-mile river trip in the city of Asheville that passes through Biltmore Estate. It's heavily-wooded with views of the Biltmore House. It's difficult to imagine you are in the middle of the city! It's just 10 minutes from downtown Asheville. You will need two vehicles so you can leave one at the takeout. Or check with Asheville Outdoors Center for shuttles. Directions from Asheville to take-out: Take I-240 West to Exit 1 (Brevard Road). Turn right off the ramp, then first left, then first left again onto Hominy Creek Road (at bottom of hill; road follows creek). The take-out is in the little park on your left at the end of the road. Shuttle: 10 minutes each direction. Retrace steps to I-240 West. Take I-240 West to merger with I-26. Continue on I-26 East to Exit 2 (191 / Blue Ridge Parkway). Turn left at light onto NC 191 South and drive 2.8 miles, passing under the Blue Ridge Parkway. The Bent Creek River and Picnic Area will be on your left just past the Parkway overpass. Do NOT attempt this after heavy rains when the river is running high! 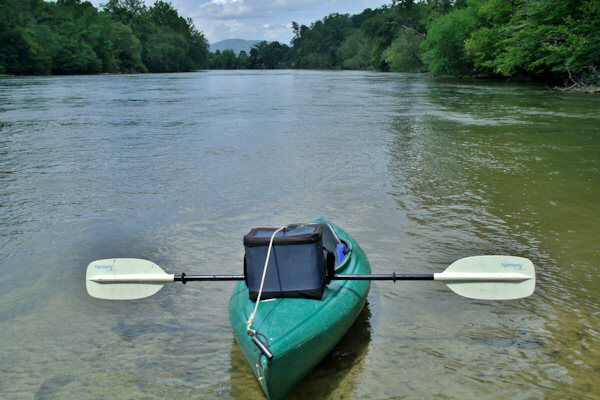 Read much more about what to do on the French Broad River.